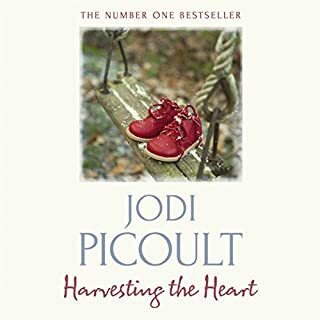 The best-selling author of My Sister's Keeper and The Tenth Circle, Jodi Picoult pens her most riveting book yet, with a startling and poignant story about the devastating aftermath of a small-town tragedy. 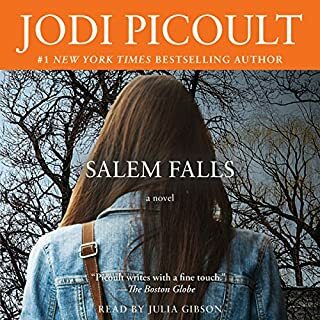 Sterling is an ordinary New Hampshire town where nothing ever happens - until the day its complacency is shattered by an act of violence. 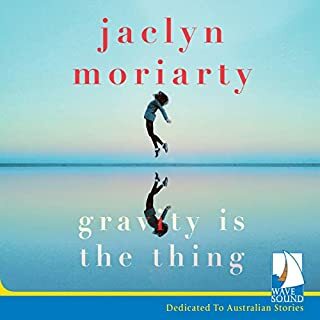 Josie Cormier, the teenage daughter of the judge sitting on the case, should be the state's best witness, but she can't remember what happened before her very own eyes - or can she? As the trial progresses, fault lines between the high school and the adult community begin to show, destroying the closest of friendships and families. Really goes into the minds and motives of the characters. I couldn't put it down. I really struggled with this title; I guess I’m really not into this type of story. 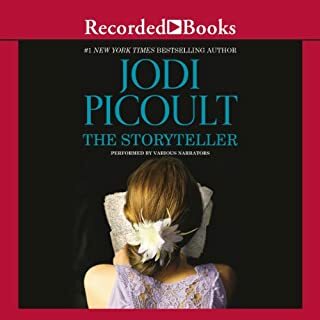 I was not able to finish this audiobook. I get that there are very important lessons to be learnt from this book but it just dragged on and on. This book really made me think about the parents involved when their children are bullied. 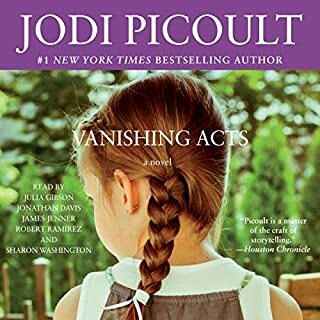 A great read as usual from Jodi. I was hooked right from the beginning to the end. Wow a must read for all especially teens. 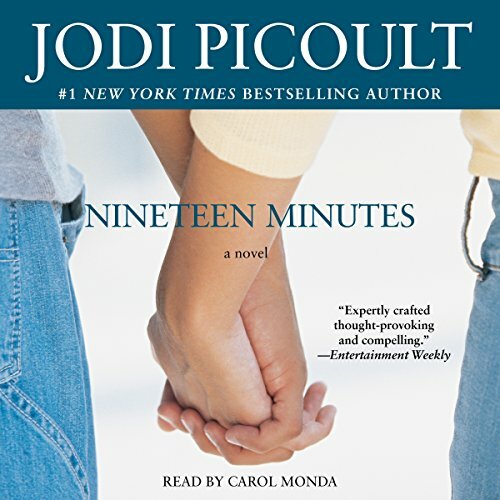 If you could sum up Nineteen Minutes in three words, what would they be? Alex- She struggles with the responsibilities of motherhood, single parenting and her career. What about Carol Monda’s performance did you like? This is my favorite book of hers so far. The way the story was written in unbelievable. I love how she wrote in all the views of the people involved in the school shooting. I was so amazed by the twist that came later on towards the end. This is defiantly a good book for all families to read, as it covers a lot of important topics. the story line got me hooked from the very start. i love how the book starts by building this character of a boy that ends up the way e did. However, my favorite part was the trail! the only thing i didnt enjoy was the narration. it was kind monotonic and i found myself a bit bored with her sometimes. I wish it was more interactive with the intensity of the story. Sad, but good story. I love how Jodi takes real controversial issues and educates us on both sides of the issue....All while entertaining us! 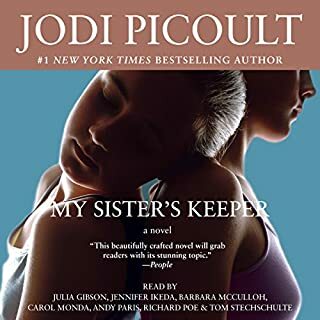 I like Jodi Picoult's writing, but this book seemed like a "young reader's" story of high school cruelties and first love. I thought some of the characters were one dimensional and found myself thinking "yea, yea, I get it." Will try more of her books, but didn't care for this one and did not finish. 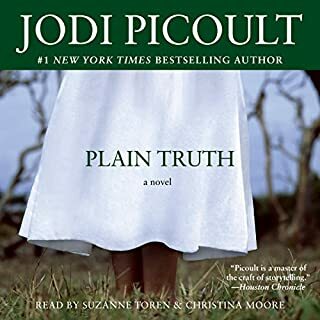 Another wonderful Jodi Picoult book. 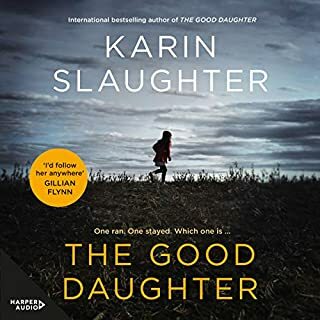 This author has consistently written terrific novels exploring so many timely topics in such a creative and fascinating way. In this, we enter into the minds of the students, adults and especially the parents involved in the horrific event perpetrated by the boy, Peter. 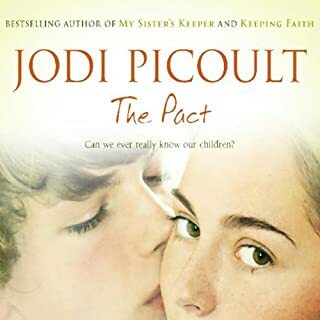 Picoult's writing might sometimes be a bit too flowery to suit most of the characters, but I was still swept along with this fascinating exploration of teenagers in this small town. 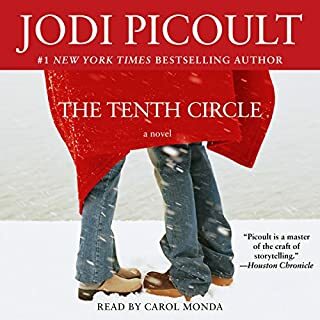 Carol Monda narrated it very well and used her deep throaty voice expertly for the male characters. Too Long and melodramatic ! Good profile of bullying leading to high school shooting with long emotional sections about being popular, parenting issues, and episodes of bulling. Just too long so that you lose sympathy with the topic and characters. For a better book on the issue of adolescence and bullying and a better ending read Black Swan Green. 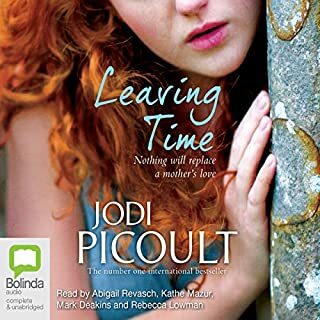 Jodi Picoult never shies away from controversial topics and she is true to form in this book. We want to hate the gunman who murdered our children but understand his motives. We want to sympathize with Peter but given the chance he would have been as much as a bully. She lays bare all our weaknesses. There is no hero. My only complaint was the length. It could have been much shorter. I found she plowed the same ground at times. 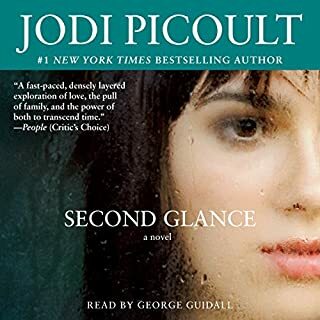 You never relax and sail through a Jodi Picoult novel. I loved it. It was hard to listen to in parts, and so very sad, but what a moving story! As a new mom it makes me want to protect my child so much more, and teach him the importance of being kind to everyone. do you like similes and metaphors? What would have made Nineteen Minutes better? there are some beautiful similes and metaphors in this that book create some deep and thoughtful imagery in the mind of the reader. There are a lot though, and after a while of reading I began to anticipate them and this took me away from the story. 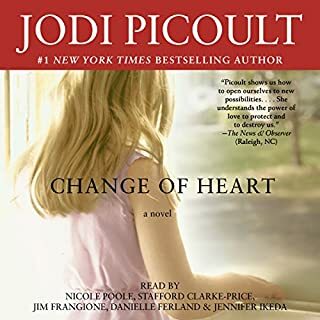 Would you ever listen to anything by Jodi Picoult again? Worth your time to listen to this story. I nearly rejected the book early on as it was a bit slow and confusing initially setting the scene and introducing the characters. However, once set it had a thought provoking storyline. 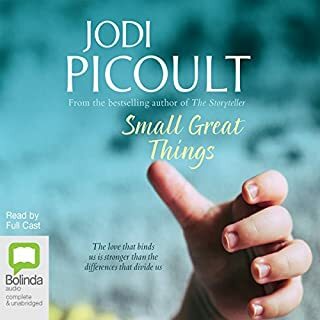 Jodi does write book that give you an all perspective of the characters in the book. This book will tear at your soul and break your heart. I did not expect a sudden twist at the end. The depth and feeling is there in every chapter. if you want something though provoking and deep, read this book. it will stay with you long after you finish it. Well narrated too. 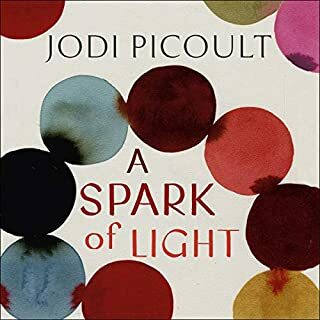 Different but interesting, not my favourite jodi picoult book, complicated and a disappointing end. Nevertheless I listened to the whole book. enjoyed this book a lot. i would definitely recommend it. end was unexpected which I liked. loved this. not a huge fan of the narrator, but fortunately the story is so compelling that this can be overlooked. 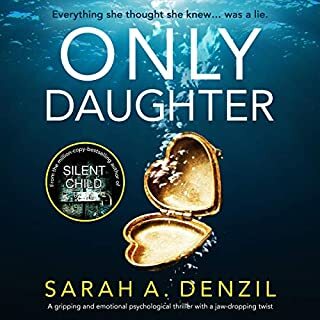 credible characters and plenty of twists and turns. I was trying to second guess . left me with some unanswered questions, but rather that than a predictable plot anytime. highly recommended this . 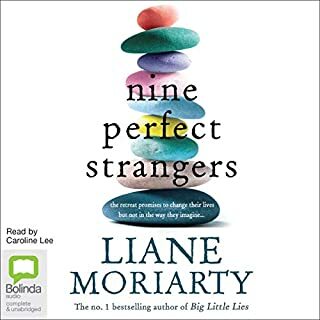 One of the best books I've listened to in a long time. I just couldn't stop listening.